In light of the recent difficulties faced by high street giants like Debenhams, House of Fraser and Claire’s, British consumers have been revealed to be three times more likely to shop more with independent stores than large shops over the next five years according to findings from marketing automation suite Pure360. Almost a quarter (23%) said that they are not surprised about the closures of large retailers because they fail to offer a personal touch like smaller, independent stores. Despite this, nearly half of UK shoppers (43%) think independent brands could offer better online shopping tools in addition to the existing in-store experience – especially poignant given that 39% of Brits said they now prefer to do all their shopping online now as it makes their lives easier. With many British retailers competing to make a name for themselves within the confines of popular marketplaces like those offered by online giants Amazon and Google, 29% of UK consumers said independent stores could improve how widely they are known through more advertising and marketing. Exploring what the most effective marketing mechanics brands can use to engage UK shoppers are, almost half of respondents (47%) said they find messages that contain a product offer the most useful; just over a quarter (26%) prefer real-time offers that respond to the weather and 25% chose location related messages. 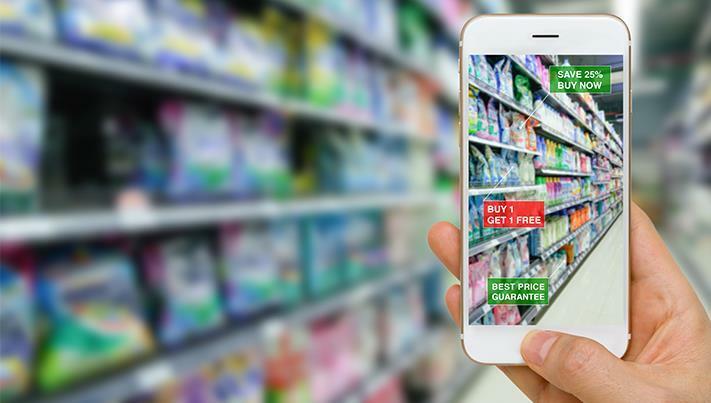 The research also highlighted the opportunity for sellers to be more actively involved in their customers’ shopping journey, with nearly two in five (18%) respondents stating they look at product recommendations received from brands ahead of making a purchase. Komal Helyer, Marketing Director at Pure360 said “Independent stores need to be proactive to benefit from consumers’ increased interest in shopping with them. Smaller retailers need to focus on offering a better online experience, but the reason why is different for each age demographic. Middle aged consumers are time poor and require the convenience of online shopping. 18-24 year olds already feel like large retailers have been able to provide a personal touch, largely through digital means, and so for these consumers independent shops are playing catch up. Older consumers (over 55s) value highly the personal touch independent shops provide, however even they are shifting to a more ecommerce led purchasing journey.